I bought the revolutionary Amazon Echo with Alexa voice assistance just after its initial public release around mid-2015. The little Alexa RF Remote came in the box with the original Echo - these days Amazon sells the remote separately! Ever since obtaining the Amazon Echo, I have been watching the popular interest in home automation grow. It has now become mainstream with non-geeks jumping in to buy packaged solutions. The sudden rush is somewhat humorous - I have been playing with X10 based home automation devices and systems for years - but the recent developments do make smart homes much easier to implement, and also address a major drawback of X10: security. However, X10 remains incredibly affordable - one can still get an entire entry-level X10 home automation kit for the price of a single Z-Wave garage door opener! What does the Amazon Echo with Alexa have to do with home automation? It provides voice control! That is indeed a leap from fooling around with computer applications, or phone applications, and this voice control integration with the Amazon Echo is perhaps the greatest motivator for home automation resulting in the plethora of products and protocols competing in the non-hobbyist user market now. The other enabler for the mass consumer interest in home automation is the smart phone and the apps that run on it. Being able to set your home thermostat to a balmy 72 degrees using your smart phone before you head home from work or taking a peek at a video stream of your living room when on vacation in Honolulu (unless you are fortunate enough to live in Honolulu) are genuinely useful technological conveniences, not just a way to bragging rights. But Alexa, and now the still evolving Google Home voice-activated speaker system with Google Assistant, are only the last step providing the natural language voice interface to a modern smart home. The first steps have to do with the protocols and connectivity of the various pieces that make a home smart, and for some protocols, a needed hub for managing them. The basic goal of home automation boils down to providing a way to control power plugs, switches, cameras, door locks, water or gas valves, garage doors and so on using a human interface, The interface can be a wall panel, smart phone, computer, or with Alexa or Google Home, your voice. Before I try to describe the days of fun I have had making my home smart, here is an introduction to the leading technology groups in the very nascent, volatile and confusing market today where numerous manufacturers are trying to grab a toe-hold. Thankfully, as I found out, the trick is to choose one widely supported public open protocol and build your smart home device network using devices and hubs that support that protocol (I chose Z-Wave). Since all modern homes have at least one wi-fi router serving home internet across the house, wi-fi based home-automation devices provide a simple and natural way to bring smartness in. If you have a plug-in lamp that you want to make smart, simply get a Wi-Fi enabled smart plug, connect the smart plug to your wireless network, plug in your lamp to the smart plug, and install and launch an app on your smart phone - you are done. If you have a Amazon Alexa or Google Home also connected to the same Wi-Fi network, and selected carefully, chances are excellent there is an Alexa "skill" or Google Home app that will provide voice control to your lamp now. There also are a myriad of Wi-Fi Smart Home devices, including Wi-Fi Bulbs that you screw into regular bulb sockets. These bulbs have built-in wireless networking capability. There are Wi-Fi enabled door locks, IR (infrared remote control) transmitters to control your TV and electronics, and so on. If you decide to go down the Wi-Fi route, you don't need any extra hardware other than a smart phone, and most can also interface with Alexa. Belkin sells an entire range of Wi-Fi home automation devices called WeMo that by themselves are enough for a basic smart home controlled by a smart-phone app with no hub required. Philips sells the Philps Hue family of color-changing bulbs and hubs that are controllable via voice through Amazon Echo's Alexa assistant. These are popular because of the simplicity of usage and installation. Due to bandwidth requirements, wi-fi is required for security cameras, connected to the cloud or not. If your smart home will include cameras, a wi-fi network should be available to it for streaming videos or monitoring still images. For example, Netgear Arlo and Ring Wi-Fi Enabled Video Doorbell are directly supported by both the Wink Hub 2 and 2nd generation Samsung SmartThings smart home automation hubs. 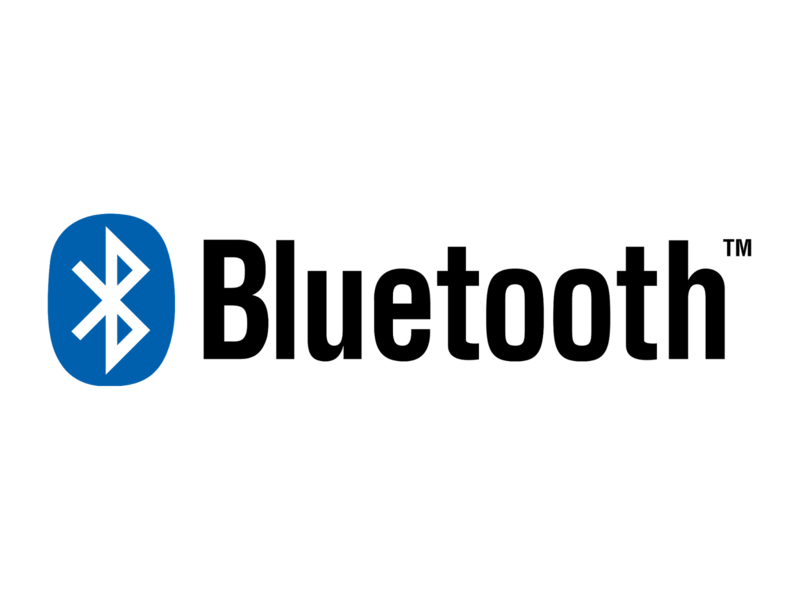 Bluetooth is indeed another option to control devices making up your smart home. You can control these devices directly using bluetooth capability of your smart phone. Alternatively, modern smart home hubs including the Wink Hub 2 and Samsung SmartThings 2 can interface with bluetooth devices, making them controllable from the corresponding smartphone app or over spoken commands to Amazon Alexa. 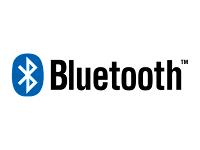 Bluetooth enabled smart home devices are easily available as well, including popular LED Light Bulbs, Power Plugs, Door Locks, Wall Switches and so on, even button pushers and blind openers. My recommendation is to use a Z-Wave compatible hub like Wink Hub 2 and SmartThings with Z-Wave or Z-Wave Plus devices, with security cameras that use Wi-Fi. This way you will achieve centralized control with a single app on your smartphone, and voice command support via Amazon Echo's Alexa. An additional advantage of using dedicated hubs is the built-in support for the numerous protocols and standards that today's home automation devices use. For example, the Wink Hub 2 speaks Bluetooth LE, ZigBee, Z-Wave, Kidde smart smoke detectors and alarms, and Lutron Clear Connect wireless dimmers, switches and control panels, and of course, Wi-Fi. Some confusion is created by businesses trying to lock customers into their own branded products despite using open protocols. An example is the GE Z-Wave smart switches I bought from Lowes - each package was labelled "GE Iris" since the Iris smart-hub is marketed by Lowes. It is a mistake to think these Lowes-special "GE Iris" switches work with the Iris hub only; they are in fact regular GE Z-Wave switches that work fine with my Wink Hub 2. In theory, any Z-Wave hub - be it Pulse, Trane, Wink, Nexia, Honeywell, HomeSeer, Smart Security, Harmony, Vera, Connect, Iris or SmartThings etc., should be able to talk to any Z-Wave device. 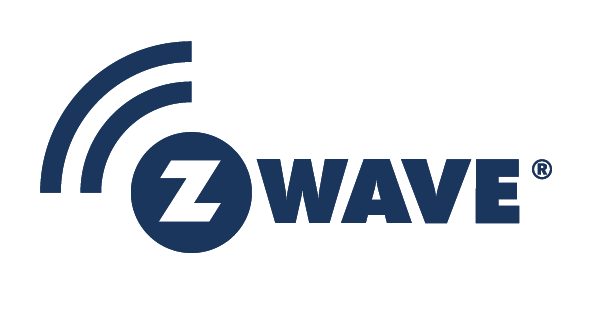 Z-Wave uses the 908.42 MHz frequency band that is separate from Wi-Fi and Bluetooth radio frequencies. This is a big advantage given the huge number of Wi-Fi and Bluetooth devices competing for bandwidth in a typical home, far more worse in a multi-dwelling environment like apartments and condominiums. Device availability: At the time of writing, the Z-Wave web site claims "over 1,700 certified inter-operable products worldwide". Numerous Z-Wave devices for anything you might want to control or do with your home automation system can be found easily on Amazon and eBay. Like Z-Wave, ZigBee is a low-power low-speed mesh network protocol, with devices relaying packets to get over distance restrictions. It operates at the 915 MHz band in the United States. Like Z-Wave, it is still evolving. Originally debuting in 2003 and revised in 2006, ZigBee Pro was introduced in 2007 supporting backward compatibility with original ZigBee devices. Recent developments earlier this year include renaming of the cluster library as "Dotdot" and mechanisms of interoperation with Internet Protocol (IP) networks and the emerging Thread standard for connected homes. Support for Thread based home automation is built into Google Home. There are numerous ZigBee devices available widely, and ZigBee is supported natively along with Z-Wave and Wi-Fi by both Wink Hub 2 and SmartThings smart hubs. Among many offerings, the Osram Sylvania Lightify family of smart tunable lights and hubs uses ZigBee. A home automation hub is at the center of any smart home - it is the piece of hardware that talks to all the devices making up the smart home, as well as to other gadgets adding on to control and command features, like voice command and control via Amazon Echo Alexa. After studying the myriad home automation products and protocols and deciding to build my smart home network using the Z-Wave Plus protocol, there really were two choices for the hub: Wink Hub 2 and the Samsung SmartThings 2nd Generation. I picked up a Wink Hub 2 because (a) it supports Z-Wave Plus, and a bunch of other protocols that I might need to use later and (b) the mobile app is well thought out, intuitively designed for regular tasks, and looks nice, and (c) it is not a Korean product. I am very happy with the performance of the Wink Hub 2 - it paired with all of my Z-Wave devices successfully, works flawlessly and is very stable. There was only one instance of it going into some sort of a recovery mode (flashing blue LED) and would not get out of it even on factory resetting. The solution that I found in the Wink Hub forum was to logout and log back in to the mobile app - that actually fixed it! Our garage door is opened and closed by a regular Black and Decker Craftsman garage door opener (the Craftsman brand was taken over from Sears by Black and Decker in March 2017). Instead of replacing the entire Craftsman unit with a popular and well-marketed Chamberlain smart wi-fi garage door controller which would also mean an additional phone app just for the garage door, and since I already had a Z-Wave compatible Wink Hub 2 online, I decided to install a Linear Z-Wave Garage Door Controller and connect it to the existing Craftsman motor. The same controller is also marketed as GoControl/Linear Z-Wave Garage Door Opener Remote Controller. It turned out this was a pretty easy thing to do. I first paired the Linear Z-Wave Garage Door Remote Controller with my Wink Hub 2, and then mounted it with the included mounting bolts and hardware. To interface to the existing Craftsman unit, I piggybacked the two wires from the Linear controller to the same push-in connectors which connect the existing wired garage door switch. This was made simple by the push-in connectors - pressing on the red tabs released the existing wire, and I just pushed two wires twisted together back into each of the two connectors on the motor. The Linear packaging also includes all required bolts, nuts and hardware for multiple options of mounting it. I also screwed in the door position sensor as instructed in the manual. This sensor is battery powered, and senses if the garage door is open or closed, communicating wirelessly with the main Linear unit. It is also required for the Linear unit to operate, due to safety reasons. After connecting everything, the Wink app asked the door to be opened and closed once the first time to configure itself. From then on, we have been happily swiping our fingers up and down on the screens of our phones to open, close and receive notifications about our smart garage door. I have even set up a Wink robot to turn the foyer, kitchen and living room lights on if the garage door is opened after sunset on weekdays, so that my wife walks into a house with the lights already on when she returns from work.